So we've settled in Houten. It's time to go in particulars on how we sought a house. without slanting walls if possible. Price is obviously of the highest importance. Unless you're a billionaire, you'll most likely need a mortgage. The government, in its effort to safeguard people's money, is constantly toughening mortgage rules. So, for instance, the highest allowed Loan-to-Value ratio (LTV) for a mortgage in 2014 was 104% of the house value. In 2015 it'll become 103%, and in 2018 only 100%, meaning you'll have to spare at least for fees and notary service (which always comes on top of the house price). Therefore it's sensible to begin hunting with an appointment with a mortgage adviser to determine your theoretical maximum loan amount. At the same time, house prices in the Netherlands are now close to their lowest point, being on average some 20% lower than back in 2008. And so are loan interest rates. Furthermore, last year the government has temporarily, until July 1st, 2013, lowered conveyancing fees from 6% to 2%, trying to give the stagnating house market a boost. This measure didn't quite reach the expected effect, so the generous policy was extended for an unknown period—but of course it can end any time just as suddenly. All in all, it's a very favourable moment to buy a house. It's also much cheaper than renting, since you get almost twice as much for the same monthly payment. And even better, as a buyer you will (a) eventually own the property and (b) be paying a flat rate for years whereas rental prices get yearly inflation adjustments. Of course, renting has a benefit, too—you can quit any time, for example, to leave for another country. A bought house would have to be rented out or sold in this case. The Dutch are always very conscious about the milieu. Their houses get greener and more CO2-neutral every year. Old houses are substantially worse isolated. Those built before 1940-1950s often have single glazing. That will cost you a lot of money in the winter, while you'll still be feeling cold. New houses are more comfortable, have bigger windows, better layouts, safer staircases and so on. One usually buys a house for many years. Kids, guests, parents—everyone would feel better in a roomy house, so only buy a one-bedroom apartment if you can't afford anything better than that (or want to live in Amsterdam). In terms of area our minimum requirement was 100 m2 (1076 ft2). If distributed across the standard three levels, it'd give you just the minimum acceptable living space. Dutch trains, despite occasional disruptions, are still the fastest and the easiest way to reach another part of the country, especially if it allows you to avoid subway, buses and trams. I work in south-east Amsterdam, some 45 km away from the house. In theory, you can drive it in about 40 minutes, but with the traffic it can be as long as 1.5 hours. With the train it's only 25 minutes, which you can spend on reading, learning Dutch, staring at girls and scoffing at those stuck in traffic. Living in Amersfoort, I used to spend one hour to get to work, with two changes. Now it's 40-45 minutes and no changes at all. All other destinations are usually better to drive to. I wouldn't want to live in a place where reaching a speedway (snelweg) would take me some 15-20 minutes. Houten is adjacent to A27, which crosses almost the entire country from the north (Almere) to the south (Breda). This is one of the most important items, if you plan to sell your house. In this sense, it's much better to have a bad house in a good neighbourhood than the other way around. You won't be able to "change" your neighbourhood. Amsterdam is definitely the leader here. The houses are old and tiny, and their prices are sky-high, but you can sell such a house in no time. 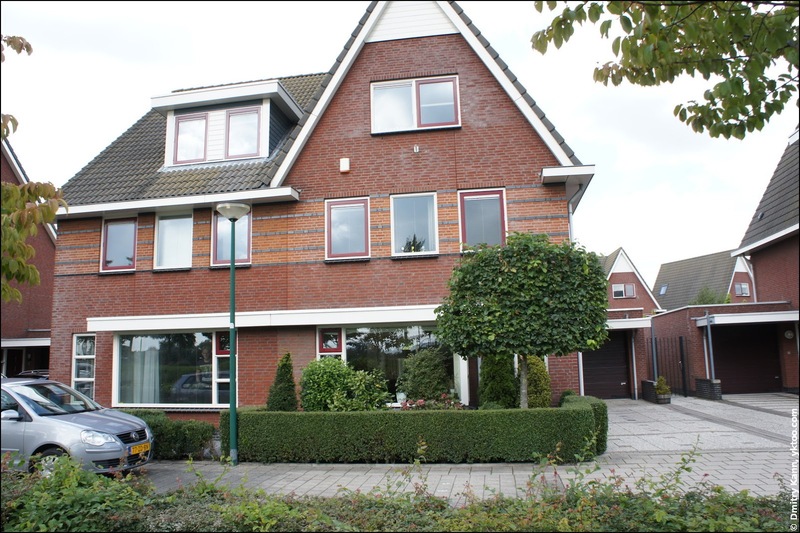 However my goal was to live in the house, and not to sell it, that's why I don't consider Amsterdam a reasonable choice. Moreover, it scores very low on my other criteria. Another important factors are safety and crime rate. Sources like StopDeCriminaliteit and Dutch police reports can give you some food for thought. So, according to 2012 summary crime report, out of 410 Dutch municipalities, Amersfoort was on the 34th place, Amsterdam on the 35th and Houten on the 243rd for the number of burglaries per capita. Big cities have a number of "ethnic" neighbourhoods. I'm no racist whatsoever and have good friends from everywhere in the world, but the statistics shows that in terms of well-being and criminality such areas score significantly lower. That explains why house prices in districts like Liendert in Amersfoort or Bijlmer Arena in Amsterdam are much lower, too. I also find somewhat strange to live among foreigners, having settled in Holland, but that's my own preferences. At the same time hiding deeply in the Dutch countryside doesn't seem attractive to me. I like to entertain and be entertained, so Amersfoort was a perfect place in this regard: it had Jazz Festival, Dias Latinos, Spoffin and so forth. I wanted something similar. And Houten is a good trade-off: it only takes ten minutes by train to down-town Utrecht, like it was in Amersfoort with the bike. And Utrecht of course has rich entertainment facilities. If you look at houses on sale at Funda, you'll see that most of them have a garden facing north. All others get sold much quicker. If your garden is not on the southern, south-eastern or south-western side, it'll be sulky, dark and moist most of the time. So why would you even want a garden, if you can't enjoy rare sunny evenings there, rocking in a hammock, reading somebody's memoirs and smoking a pipe? 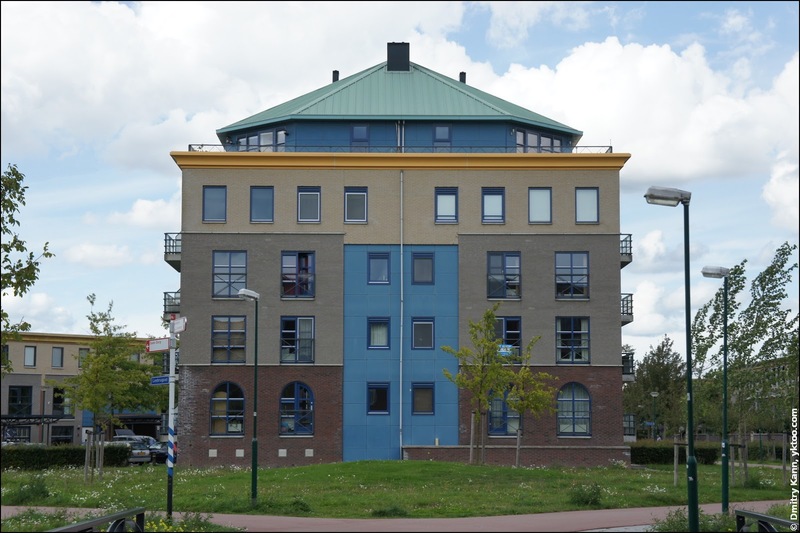 I don't understand why some 90% of Dutch houses have slanting walls. On the top floor it's even a de-facto standard. Apart from the fact they are a waste of space, I find them depressing. There is a number of houses, though, that have flat roofs and straight walls, which looks much better in my opinion. These were our main hunting criteria. I'll follow up with more details on mortgages in the Netherlands.